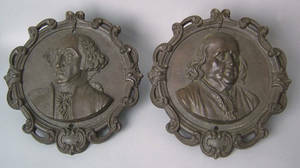 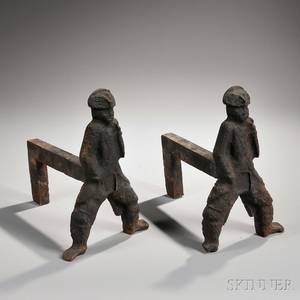 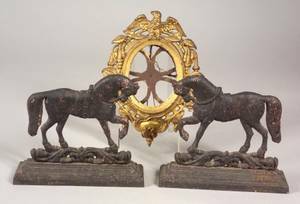 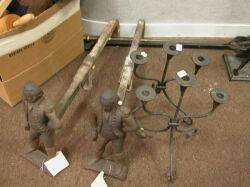 Pair of Cast Iron George Washington Figural Andirons and a Pair of Cast Iron Naughty Nellie Figural Andirons. 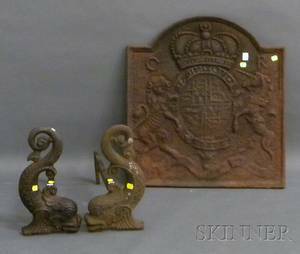 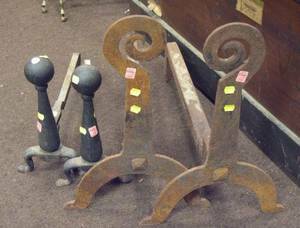 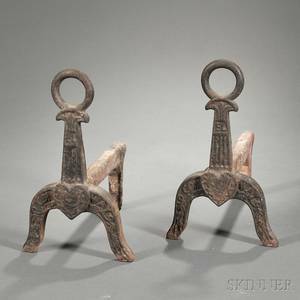 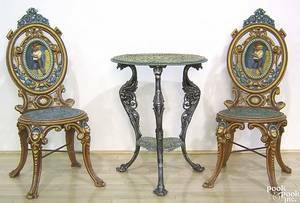 Pair of Wrought Sheet Iron Scroll Andirons and a Pair of Cast Iron Andirons. 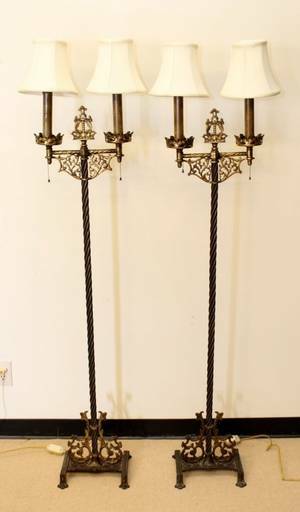 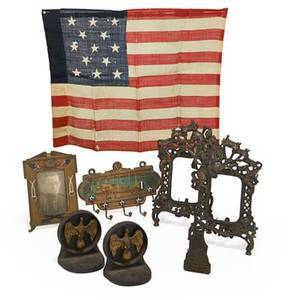 Pair of Wrought Iron Candelabra Pair of Cast Iron Hessian Andirons and Two Hearth Tools.